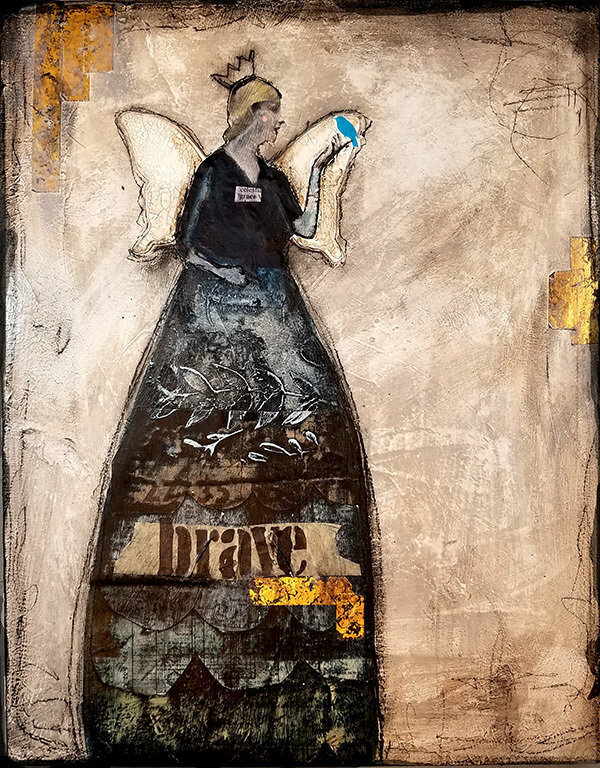 This 11x14 mixed media original created on a 3/4" wood panel has lovely layers and texture wth vintage papers and gold foil. signed on the front and the back. Sealed with a soft gloss sealer. Side and back painted black with key hole for hanging. Edges are rough sanded.